This cobbler is magic in more ways than one. Not only does it taste like something not from this world, but it comes together the right way when you seemingly put it together the wrong way! Maaaaagicallllll……. 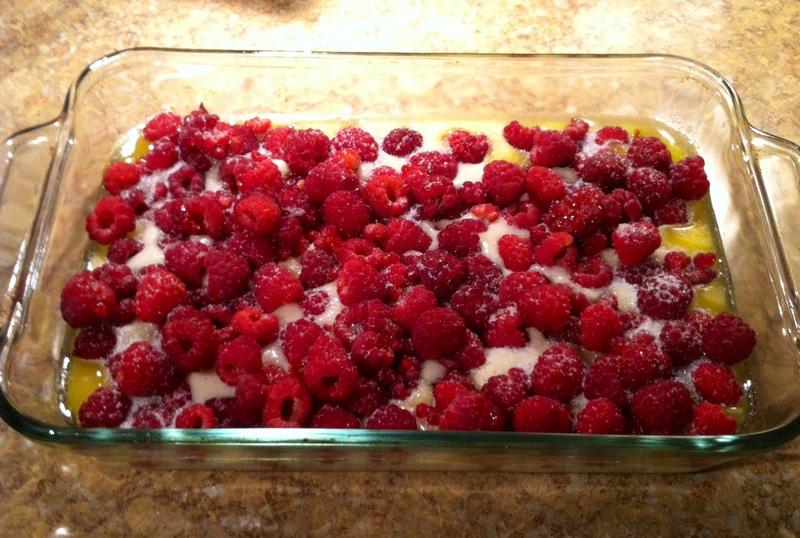 This is my grandmother’s recipe for all her cobblers and pretty much any fruit can be substituted for another. Well, except watermelon…or tomatoes… or a combo of the two. 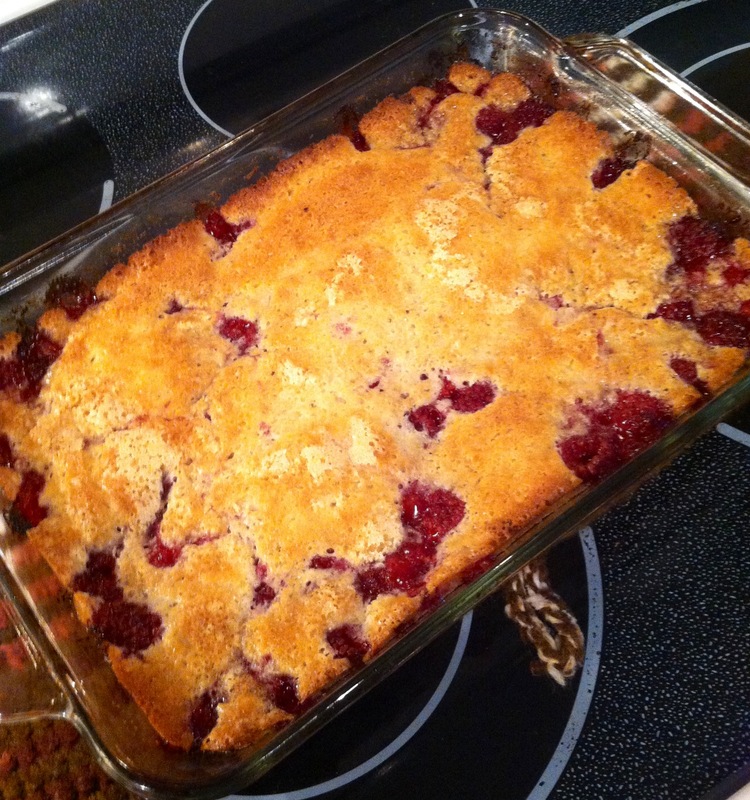 Bleck… The magic in this cobbler comes from the odd way you layer the ingredients. 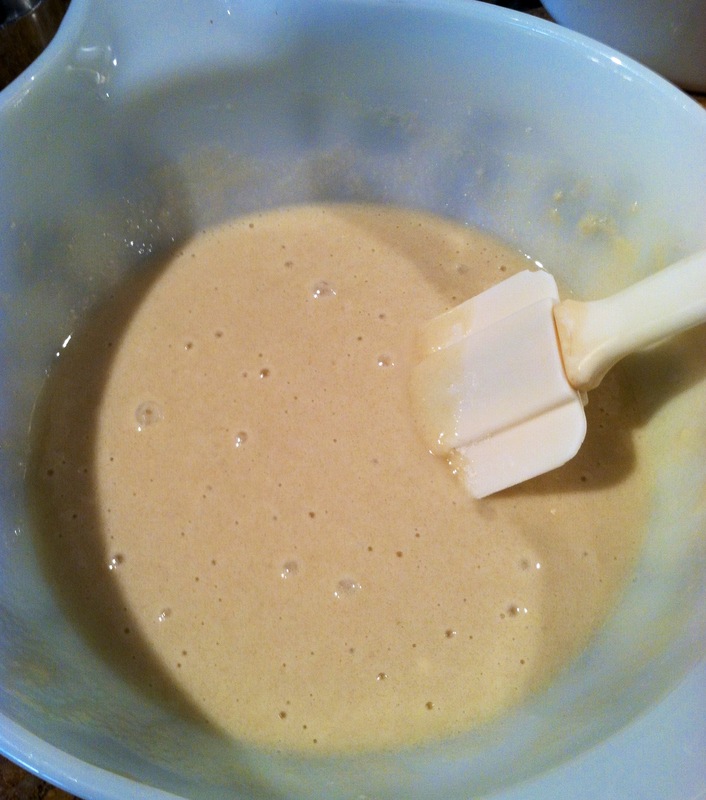 One may think that you should pour the topping over the top…. one may however be wrong. In this magical fantasy cobbler, you put the topping on the bottom and it rises to the top all by itself! ….magic…. Don’t believe me? Try it yourself you big bully! You’ll see! And I am not a sissy! Don’t pull my hair! I’m telling!!!! 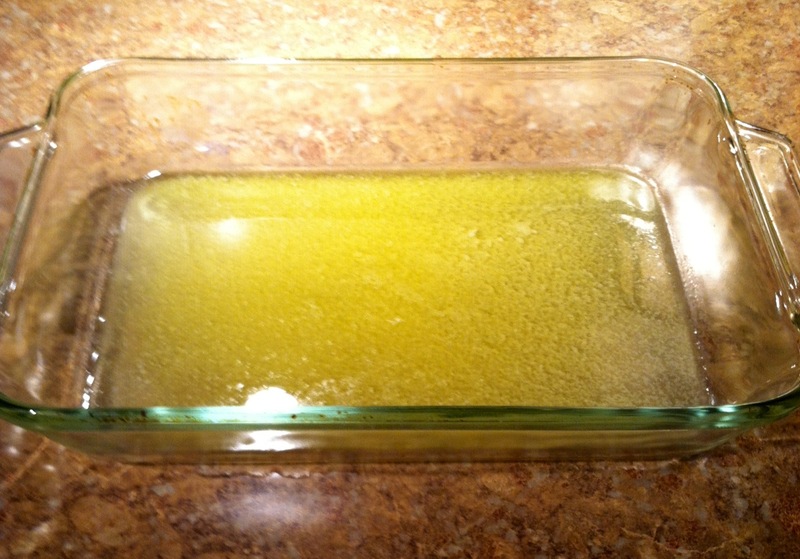 Begin by pouring the stick of melted butter in a 9×13 pan. 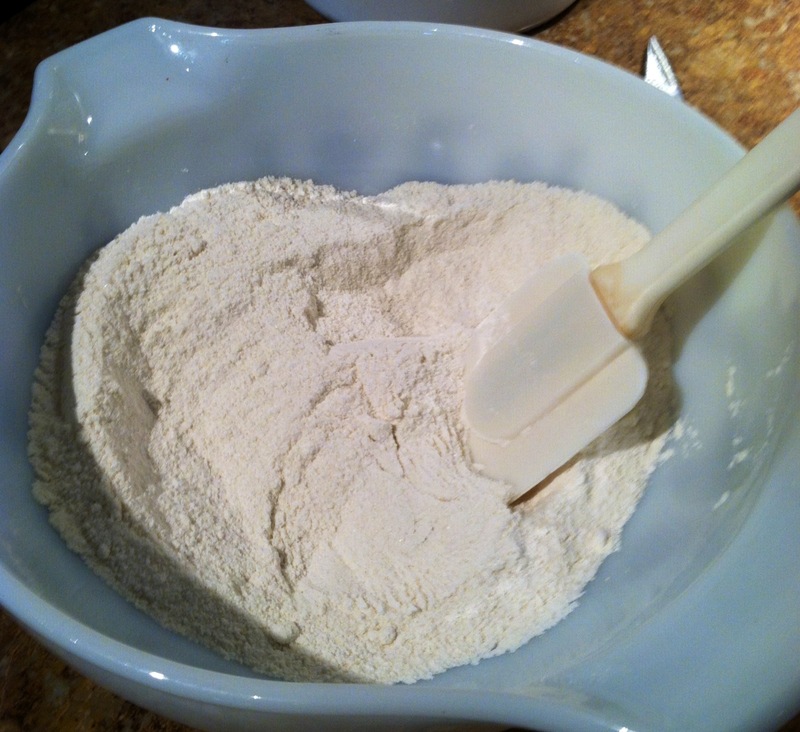 Next, mix together the flour, sugar, and baking powder until well combined. 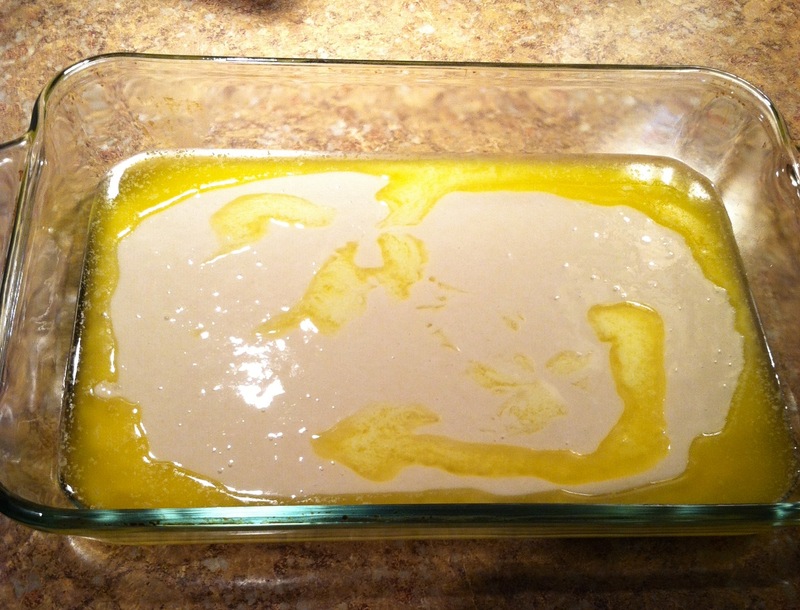 Next, pour the batter over the melted butter but DO NOT STIR. I freaking mean it. Don’t do it. Then you can tumble your fruit over all that. You want enough to cover the surface of the mix. I’d say maybe 2 1/2 to 3 cups-ish? Whatever looks good to you. Then go ahead and sprinkle some sugar over the fruit. About a tablespoon I’d say. Then you stick it in a 350 degree oven for about 30 minutes or until golden brown and delicious. See?! I told you! Mom says you owe me an apology! Enjoy this! Make it today!